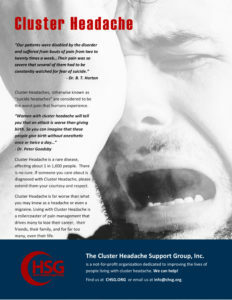 Oxygen is a safe, effective abortive for many people living with cluster headache. Much to our frustration, it isn’t always easy to get access when we need it. Discover the wisdom of our veteran patients as they share their strategies for access, affordability, and usage tips.